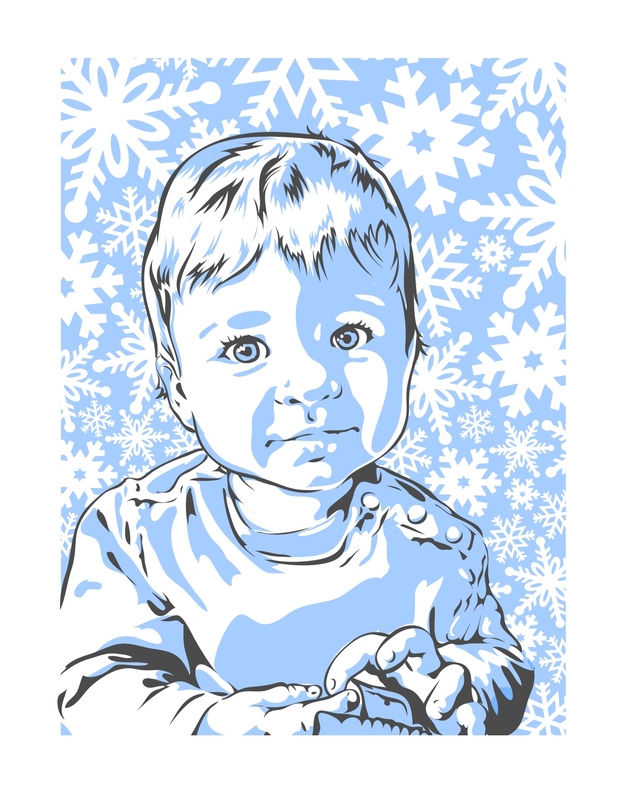 Screenprint designed and produced by my husband based on a recent pic of Ollie. He ran about 50 or so. They'll be numbered and signed before we mail 'em. That’s so good! Love it … great work, beautiful boy. Erica, I LOVE this! He did such a great job!